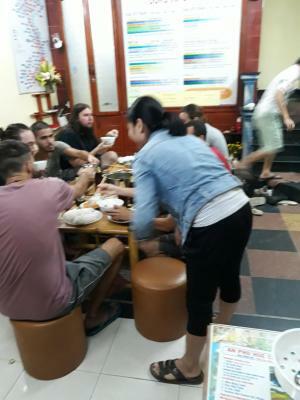 Lock in a great price for FA Backpackers Hostel – rated 8.8 by recent guests! Extremely friendly staff FA is amazing, towel provided, good breakfast. The staff was really helpful and always with a smile. Very good breakfast and perfect location. I would totally recommend it. Really good value for money. Very friendly staff. 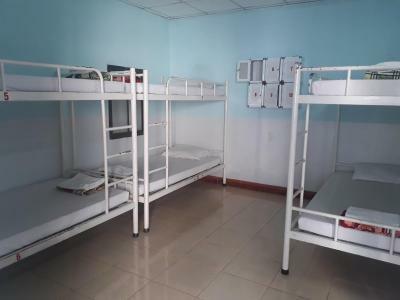 Very comfortable beds. The best prices for bus tickets in the area. 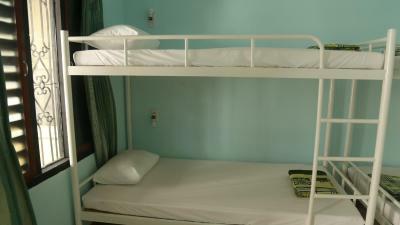 The family that runs the hostel is super accommodating. 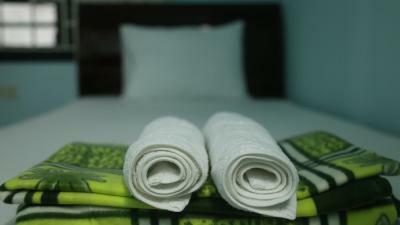 From your tours to your laundry to your breakfast, everything is sorted! 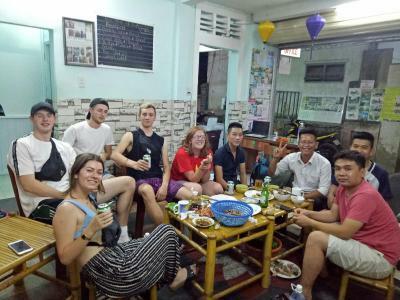 The best place to stay in Hue! The staff are super nice and helpful. 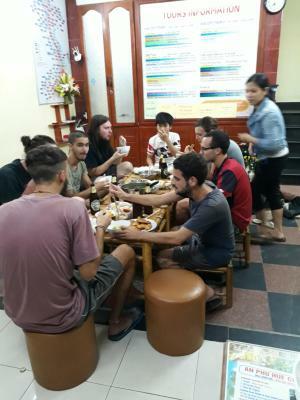 The location is great, there are lots of eateries and bars around, yet the hostel is tucked away from the noise of the main street. 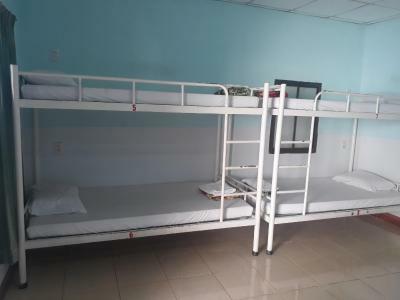 I rented a motorbike here and they booked a cheap sleeper bus for me. 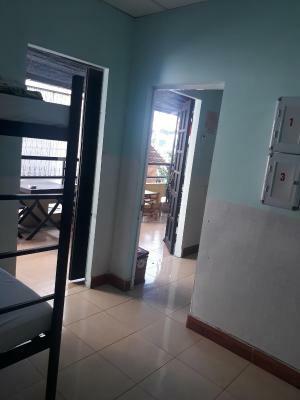 The rooms are spacious enough and clean, with a big balcony. 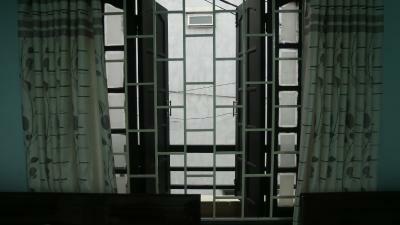 Overall, it was a very good place to stay in Hue. Highly recommended. The staff were very friendly. Breakfast was simple but very good, excellent location. Great value for money. One of our best sellers in Hue! 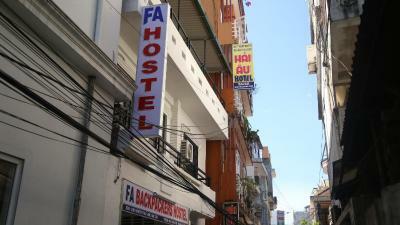 Offering free WiFi and a shared lounge, FA Backpackers Hostel is located in Hue, 1.6 miles from Trang Tien Bridge. Built in 2012, the property is within 1.8 miles of Museum of Royal Antiquities and 1.8 miles of Dong Ba Market. Local points of interest like Chieu Ung Pagoda and Forbidden Purple City are reachable within 2.3 miles and 2.3 miles, respectively. 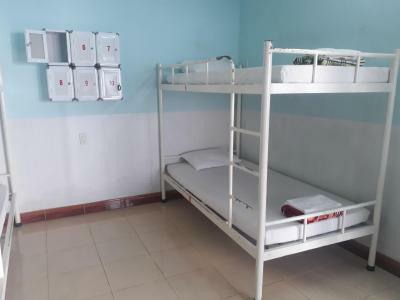 All guest rooms at the hostel come with a seating area, a TV with cable channels and a shared bathroom with free toiletries and a shower. All rooms include air conditioning, and some units at FA Backpackers Hostel have a terrace. An Asian breakfast is available daily at the property. Guests can dine in the in-house restaurant, which serves a variety of Asian dishes and also offers dairy-free options. Speaking English and Japanese at the reception, staff are willing to help at any time of the day. Imperial Citadel is 2.4 miles from the accommodation. 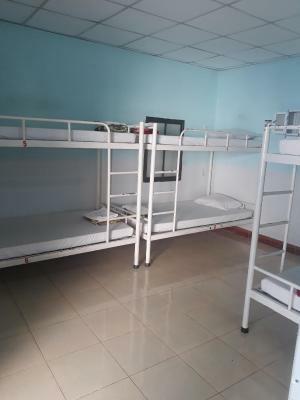 The nearest airport is Phu Bai International Airport, 9 miles from the property. 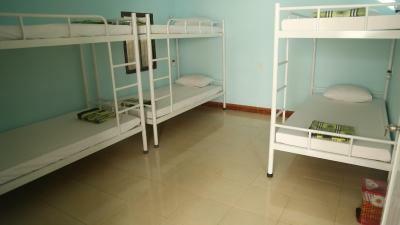 뀐 Located in the top-rated area in Hue, this property has an excellent location score of 9.2! 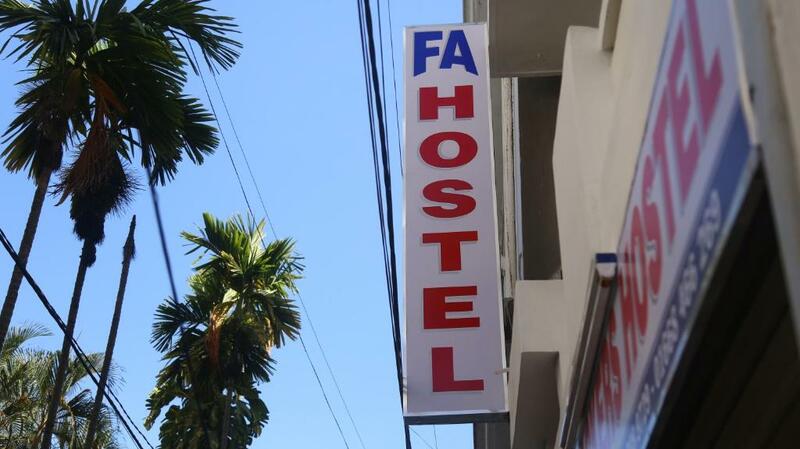 When would you like to stay at FA Backpackers Hostel? 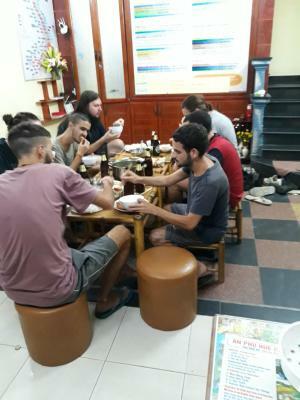 House Rules FA Backpackers Hostel takes special requests – add in the next step! 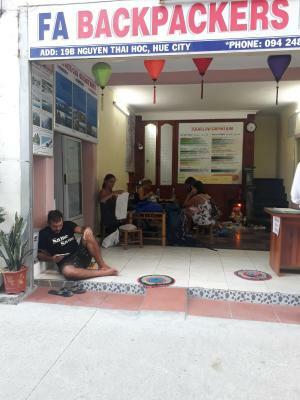 FA Backpackers Hostel accepts these cards and reserves the right to temporarily hold an amount prior to arrival. 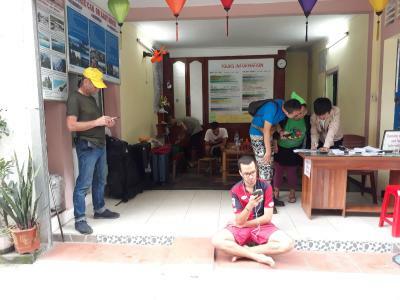 Unfortunately I had quite a big motorbike accident before coming to FA Hostel, but the personal was really reactive and they straightly brought me to the hospital when I arrived. Then, I needed to stay calm and lay down in the hostel for a few days, and all the personal took care of me as member of family, they were so nice and they provided me all that I needed (mixed food because I couldn’t really eat after accident, help for getting back the motorbike, help for SIM card, help for buying some medicine, help for everything I needed !! ). They are really nice, welcoming, friendly, helpful, and always available and smiling ! I really recommend this place. I hope I can come back one day to visit Hue (finally!) and for sure I will go back to this place. This place was great. The staff here are so nice and helpful and there are the basic necessities. Plus it is very cheap! Good value for money and location. Nice breakfast and staff. 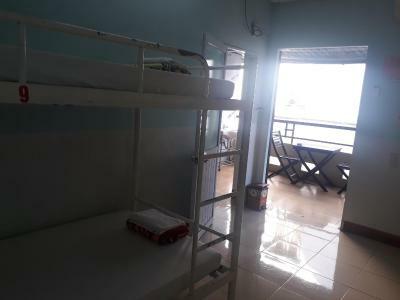 Staff are nice, balcony is a great asset for the dorms. Great location but not noisy from walking street (surprising). Value for money. Clean, too. The room which I stayed was a little dirty.There were many ants in my room. Good location.The staff were very friendly and helpful. The air conditioning was cool. 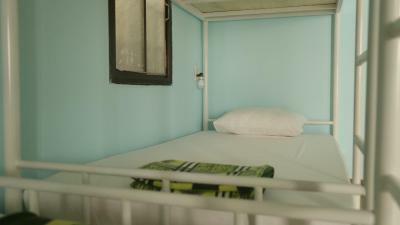 Bathrooms weren’t fantastic but for the cost of the stay we weren’t expecting a 5 star hotel experience amyway. The staff/family were so lovely they were incredibly helpful and friendly. The breakfast was great! Plenty of choice! The location was perfect and it was such fantastic value for money. You get what you pay for. The room is as spartan as you get it. Clean, but I would feel more comfortable without all the ants walking around. Friendly staff. 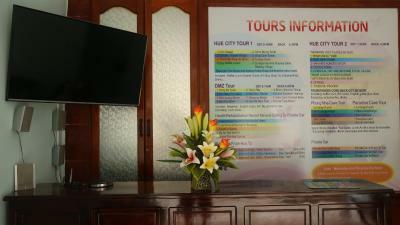 Booked both sightseeing tour and onward bus at the hostel. Happy with the experience. 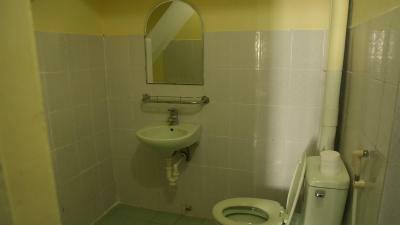 The bathroom wasn't very comfortable and the rooms could be cleaner. The location is really nice. 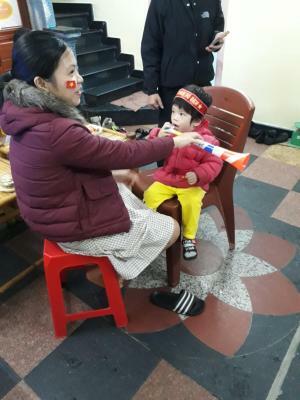 The owner of the hostel, Fa is sweet and helping. The bed was good and balcony was nice to chill. 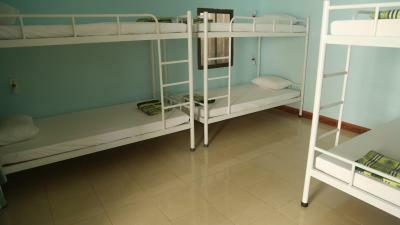 No curtains on the beds, something very simple and cheap that makes you much more comfortable. The shared rooms share access. A lot of "traffic" in the first one because of that! Simple, humble but very well managed. Clean. Family treatment to the client. Very workers and professionals. Good breakfast. Perfect Location. Good wiffi. You can not ask for more, thank you very much!